Another travelog blog post---with a related stamping project. I belong to a women's sorority, Beta Sigma Phi (BSP); it's not a college sorority! It's a cultural and social group. 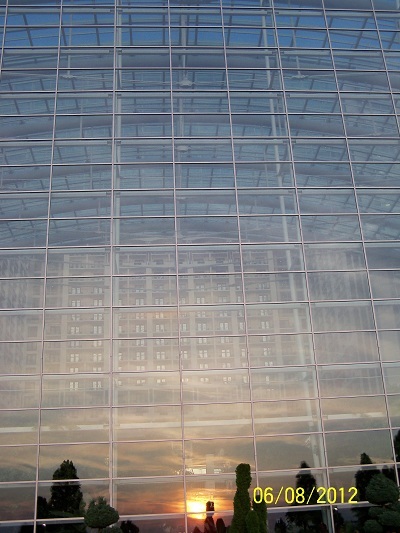 Various state and area conventions are held through out the year. I usually attend the Mid Eastern Area Convention (MEAC). 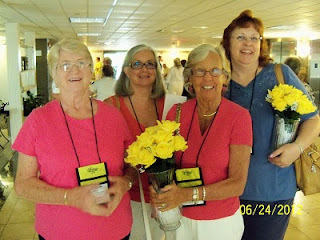 This year the convention took place in Gettysburg, PA and once again I had a chance to connect with my fellow BSP sisters. One of the traditions (which seems to waning) is to decorate your hotel door--either related to the theme of the convention or to your home state. 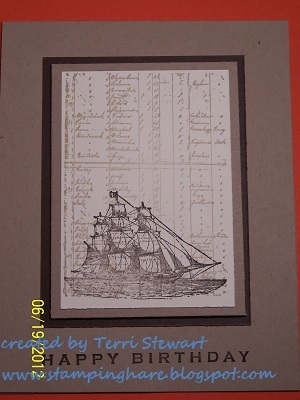 Of course, this was a creative paper-crafting opportunity for me! 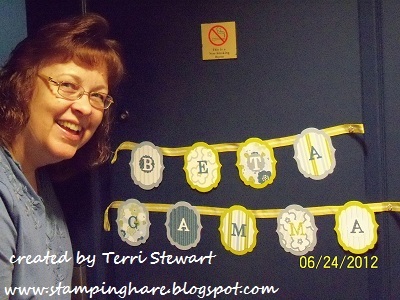 I decided to make 3 banners of our chapter name, one for each of our 3 hotel room doors. I had purchased some poster adhesive dots at my local big box craft store and finally had a project I could use them on. The best part is I got to use some of my retired DSP.....yippee!!! Even though I had no idea what color the doors would be, it looks I coordinated thee banner colors to match. I love it when things like that happen! What do you think? We did some sightseeing on the battlefield using an audio tour guide. 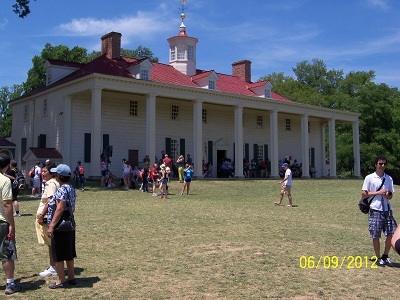 The National Park Service (NSP) had several options. We selected "The Gettysburg Story battlefield audio tour" because it could be tailored to the length of time you had for a tour. Plus, it came with pamphlet with lots of maps, current photos with 360 degree views, many insights. We did the medium length 2.5 hour version and it was fantastic! I was too busy taking it all in to get any photos. Sorry! 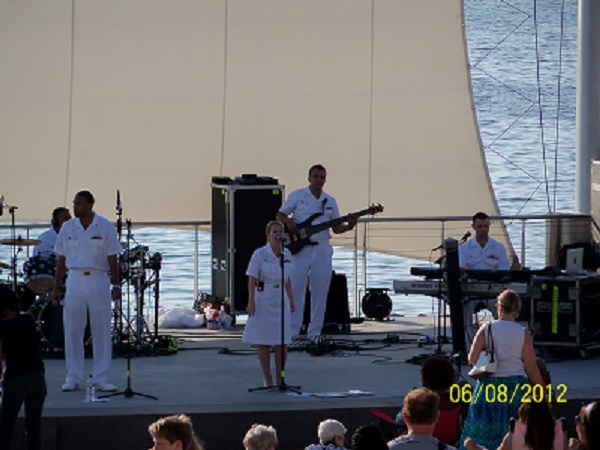 I had taken a different audio tour 10 years ago and I don't recall it being this well done. Next year is the 150th anniversary of the Battle of Gettysburg, so it was a special treat to visit the area now. If you live within driving distance I highly recommend taking the time to visit this special place. 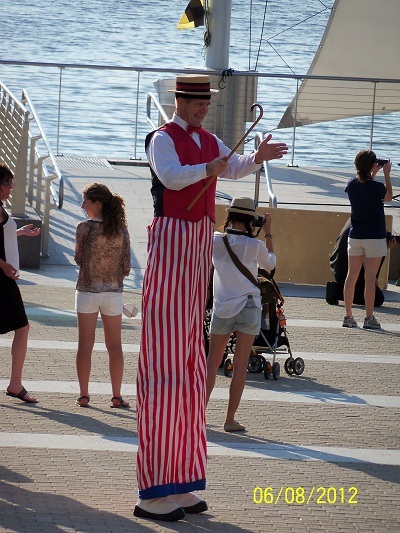 So who I did hang out with all weekend? 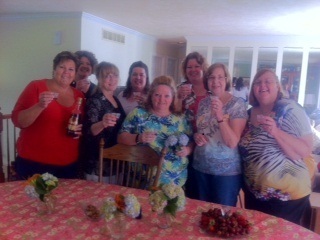 My chapter sorority sisters of course! The convention planners offered lots of fun tours and get togethers. We signed up for a ghost hunting excursion on Friday night and were out late creeping through a civil war era farm house. 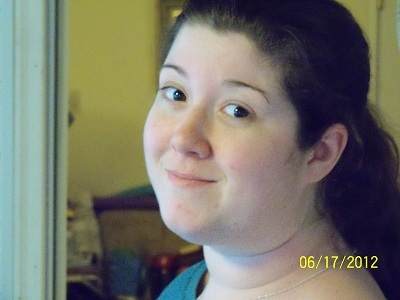 I was skeptical but I am not entirely convinced that we did not bump into a ghost at one point! 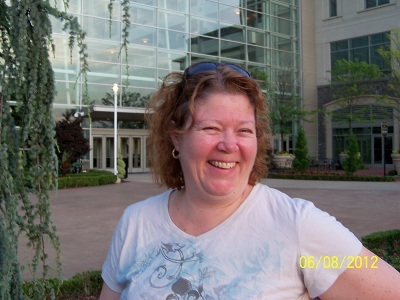 Again no photos but check out Gettysburg Paranormal Association and the Hoffman mansion. Saturday, in between touring the battlefield and taking a dip in the hotel pool, we had afternoon tea at the hotel with some of our other sorority sisters who were attending the convention. I saw one of the coolest things Saturday night. The convention entertainment following the dinner was an Elva Hurst Chalk Talk. 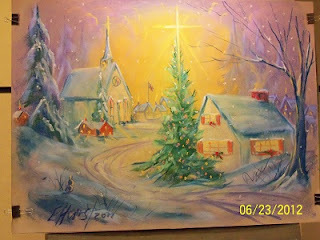 She drew a Christmas scene while an inspirational & patriotic narrative that she had put together played. All I can say is WOW!!! If you ever have the chance to attend one of her "chalk talks" do not hesitate, say YES immediately! This picture of the final scene does NOT do it justice; the room was dark and she had a light over it that simulated dawn to dusk (with a black light at some point) that made the picture glow beautifully. I hope you are enjoying summer as much as I am! Hostess can earn an additional $50 in FREE hostess benefits in June and July; contact me today to schedule your workshop! 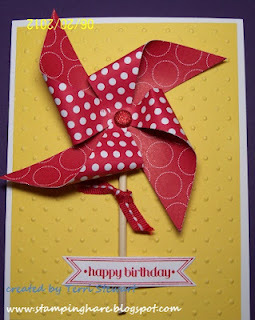 UPDATED: The pinwheel card below was inspired by a card I saw on jkcards blog. My version matches the weekly theme of the Just Us Girls (JUGS #142) challenge, summertime. It's like I knew what I was doing when I created this card! 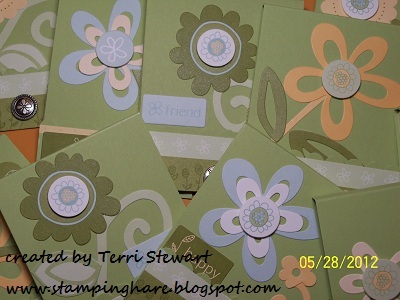 I used Stampin Up's Polka Dot Parade designer series paper (DSP) and perfect polka dots embossing folder. I cut a 3 1/4" x 3 1/4" piece of DSP then drew a pencil line corner to corner and cut each line toward the center, stopping about 1/2" from the center; folded each corner to the center and secured them with a 3/8" red glimmer brad. 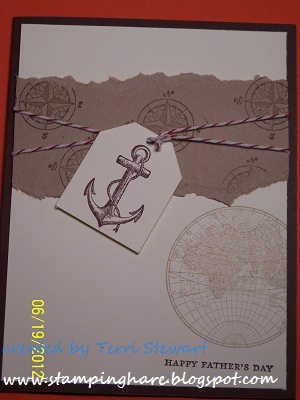 I stamped the greeting with Stampin Up's Itty Bitty Banners stamp set in Real Red ink and used the coordinating Bitty Banner framelit die to cut it out on the big shot. A piece of 1/4" stitched grosgrain ribbon on a piece of wooden skewer and there you have it, Ta-Daa! I hope you can join me this week for some stamping fun. We'll make birthday cards for Tuesday's 3 for $5 and a note card set on Wednesday. It's 3 for $5 night, make 3 juvenile birthday cards. 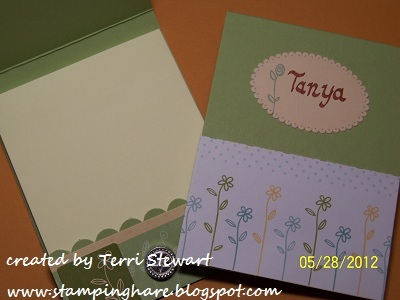 These colorful cards are based on quick and easy card designs. Perfect for stampers of all experience levels. All 3 cards can be completed in about an hour. Please bring your favorite adhesive, scissors, and bone folder. RSVP today! 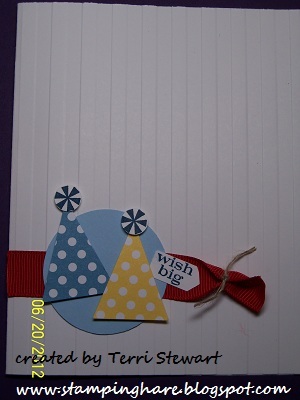 Sneak peek of 2 birthday cards below. 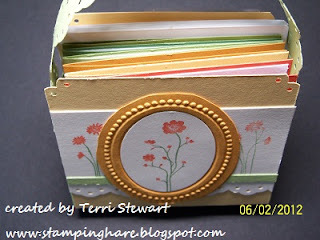 Make 4 note cards and a coordinating holder; the note cards are 5" x 3.5" and include envelopes. All stampers are welcome, newbie on up to expert. Class fee is $10 (or free with a $25 order). 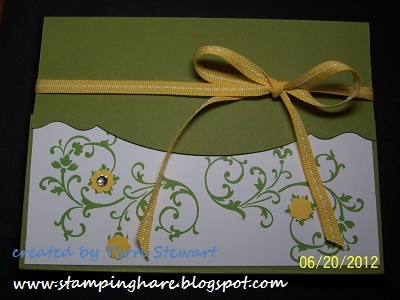 The note cards can be made as shown below, with any monogram (or with a birthday greeting in lieu of the monogram). A great gift idea! Please bring your favorite adhesive, scissors, and bone folder. RSVP today! Tools & Techniques Club - Club members will learn tips and techniques for a variety of tools--brayer, aqua pen, watercolor wonder crayons, crystal effects, blender pens, etc. 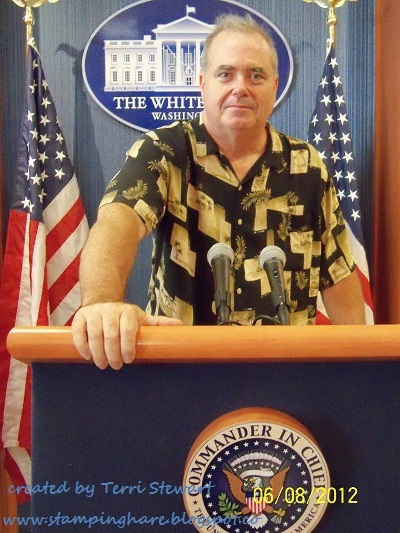 The club will meet once a month, July through December. Members are guaranteed to receive at least $25 in Stampin Up hostess benefits during their hostess month. Space is limited! Contact me today to reserve your spot! Christmas club - you'll be done with your cards in October! 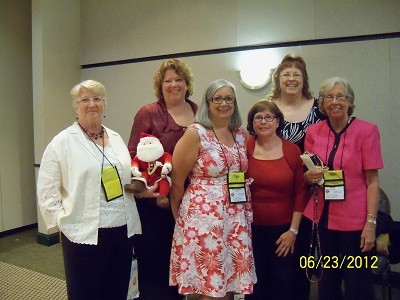 This club meets 4 times (once a month, July through October) and makes 4 Christmas cards at each meeting. Members are guaranteed to receive at least $25 in Stampin Up hostess benefits during their hostess month. 2 spots left! Contact me today to reserve your spot! Thursday July 26 - it's my birthday and I'm throwing a party! Come stamp with me, hear the news from my SU convention trip -- cards, door prizes, specials, fun fun fun! Details to come. Last Tuesday I held my first 3 for $5 dollar card making class. The theme was Father's Day cards (or could be made as masculine birthday cards) and all featured Stampin Up's Open Seas stamp set. My stamping friends Maggi, Darlene, Christie, and Tangee (check out her amazing website) joined me for this class and made these cards. The next 3 for $5 night is Tuesday June 26; the theme is juvenile birthday cards. Contact me today to RSVP! I'll post samples soon. I hope everyone had a super weekend. 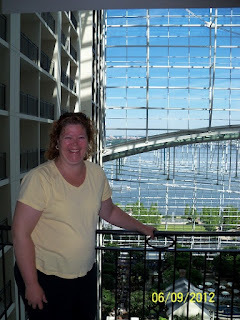 Here in central Maryland the weather was uber fabulous! Temps were in the low 70s with low humidity--and on Sunday it was actually chilly sitting in the shade. Truly spectacular!! 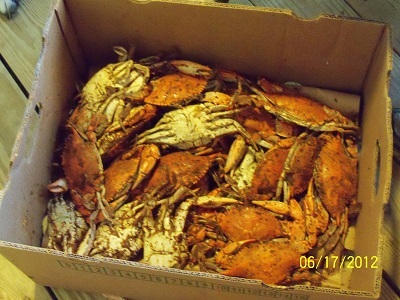 We celebrated Father's Day with Maryland steamed crabs and a cook out. It was delightful to spend time with our family. Maybe you would like to see how fabulous? 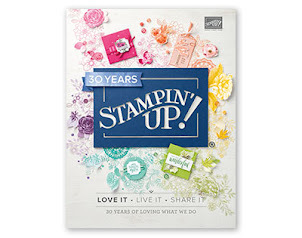 It's a great time to become a Stampin Up demonstrator -- the kit is $99 plus, this month ONLY, you will get additional $48 worth of Stampin Up goodies!! 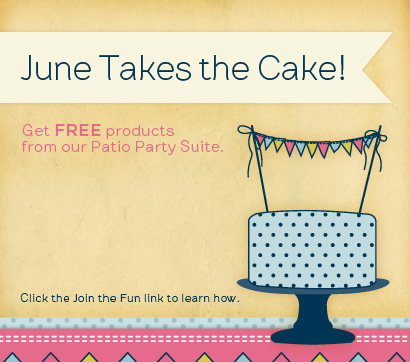 This deal "Takes the Cake!" There's still time to join my team---select up to $125 in Stampin Up products and SU will toss in the Make a Cake stamp set, coordinating Designer Series Paper (DSP), and digital content. Total value is $170 but you pay only $99 (plus tax) and shipping is FREE!!!! Click here to learn more. Celebrating 27 years of wedded bliss! 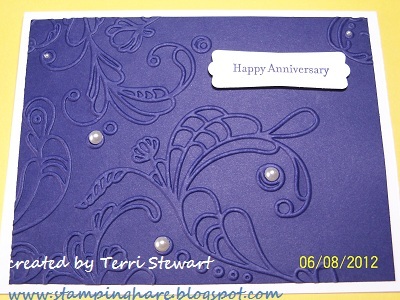 I have just one small stamping project to share with you today and much to share about my anniversary celebration. I hope the travelog isn't too boring! 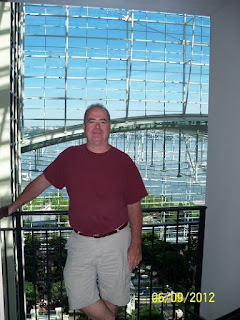 My husband and I celebrated our 27th wedding anniversary last Friday, We planned a short get-away to the National Harbor. It's just south of DC and looks across the Potomac to Alexandria, Va. We had a spectacular time! The weather was beautiful for this time of year in Maryland and we took advantage of it! First, I marked the occasion by whipping up this card for my beloved...the Elegant lines folder makes a beautiful embossing pattern on Concord Crush cardstock; pearls add a little something-something. The Navy contemporary band was giving a free concert on the plaza and we were lucky enough to get an outside table at a nearby restaurant (the Rosa Mexicano) so we could listen during dinner. I loved the guy on stilts near the stage area--the atmosphere was festive! The meal and music were fabulous! He practically licked the platter clean! 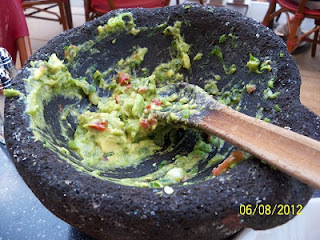 guacamole made table-side--we demolished it! 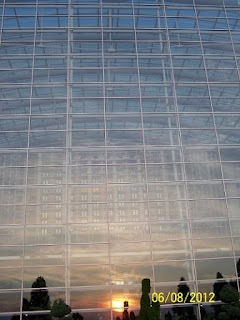 A few more photos of us goofing off in the Gaylord's garden as we watched the sunset. 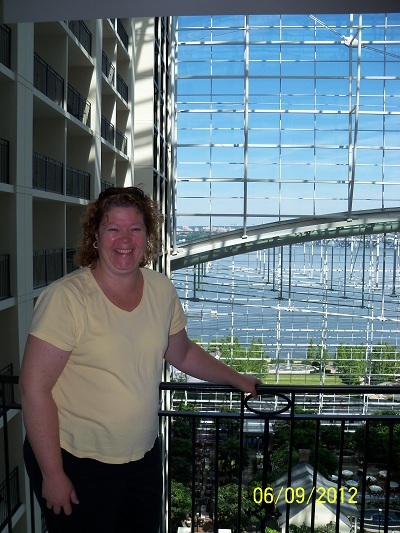 More photos of us at the hotel---from our room, standing on the balcony looking into the atrium. We decided to spend the next day at Mount Vernon since it was close by. It had been years since either of us had been there. Another perfect day! 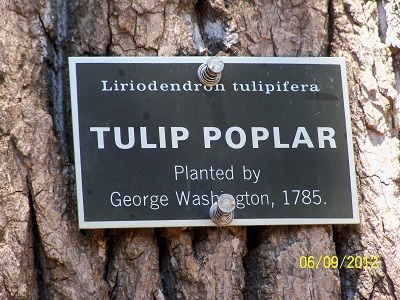 Planted by THE George Washington--amazing! 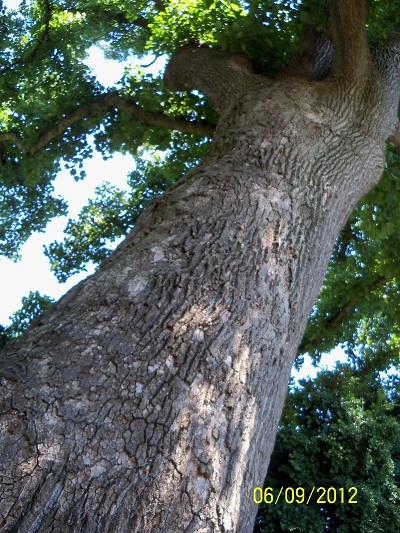 It's one very tall tree! 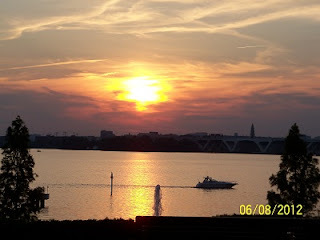 I hope you find a few moments over the summer to relax, too! 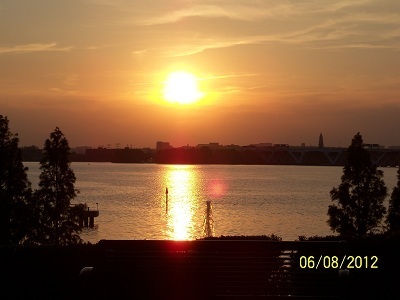 Those of you with school-aged children know that summer break is days away and the excitment is building as the long, hot, hazy days of summer approach. What are your summer plans? Mine involve stamping and I hope you will join me! 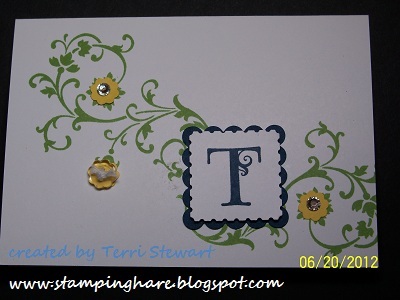 I am offering stamping classes almost every week this summer, creating a summer full of fun! These classes are for stampers of all levels. 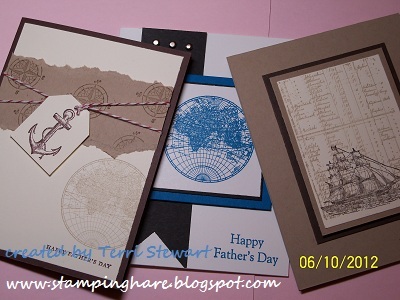 I hope you find time to stop by my house, have a cold drink, and enjoy an evening of stamping fun. 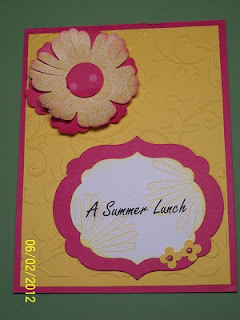 The summer fun starts next week, on Tuesday June 12, with the kick off of my (almost) weekly 3 for $5 cardmaking classes. The 3 cards will be quick and easy designs that can be completed in about an hour; you are welcome to come by any time 7-9pm to make your cards. 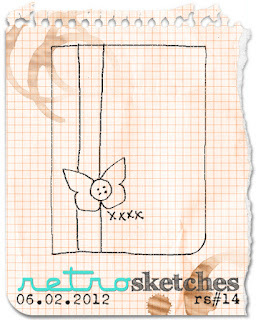 Envelopes are included with all classes. 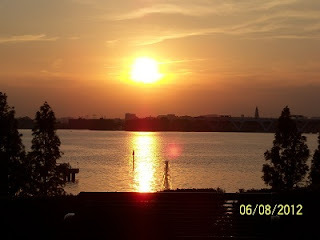 All clubs and classes are held at my home in Severna Park from 7-9pm. RSVPs are requested 2 days prior to class (email terhare@hotmail.com or call me at 410.647.4011). Stamp clubs begin in July. Contact me today for details and to reserve your spot; space is limited! Private classes are also available, your place or mine. 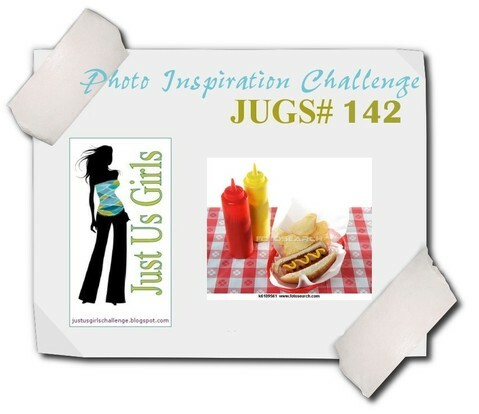 Think girls night out--invite your friends for a summer evening of fabulous fun and creativity! Tools & Techniques Club begins in July. Club members will learn tips and techniques for a variety of tools--brayer, aqua pen, watercolor wonder crayons, crystal effects, blender pens, etc. 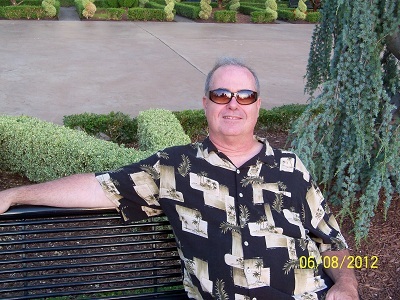 The club will meet once a month, July through December. Members are guaranteed to receive at least $25 in Stampin Up hostess benefits during their hostess month! Space is limited! Contact me today to reserve your spot! Christmas club - you'll be done with your cards in October! This club meets 4 times (once a month, July through October) and makes 4 Christmas cards at each meeting. Members are guaranteed to receive at least $25 in Stampin Up hostess benefits during their hostess month! Space is limited! Contact me today to reserve your spot! Tuesday, June 12 - 3 for $5 night! 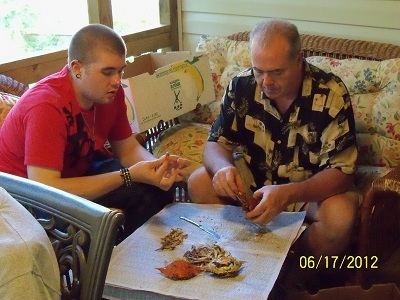 Make 3 masculine birthday (or Father's Day) cards. 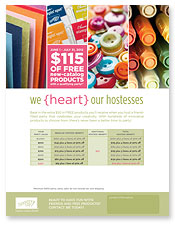 Hostess can earn an additional $50 in FREE hostess benefits; contact me today to schedule your workshop! It's a great time to become a Stampin Up demonstrator -- the kit is $99 plus, this month ONLY, you will get additional $48 worth of Stampin Up goodies!! Click here to learn more. I took several challenges this weekend and combined them into a single card. And the best part is these challenges helped me design a card I wanted to make to congratulate my son on a job well done. I got nowhere designing a card for him on my own until it all fell together with these challenges--like it was meant to be! 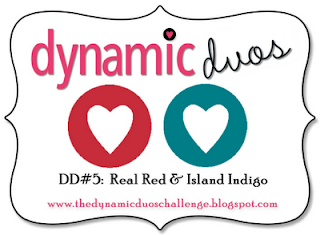 The Dynamic Duos challenge #5 decided the colors-- Stampin Up's Island Indigo and Real Red. 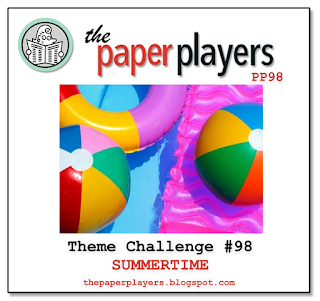 Then came the Paper Players Theme challenge #98--Summertime. Retrosketches #14 provide the structure. I am pretty pleased with my card. 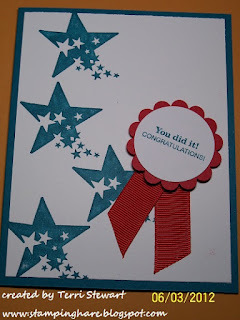 I used a Stampin Up 2012 sale-a-bration set, Sprinkled Expressions. 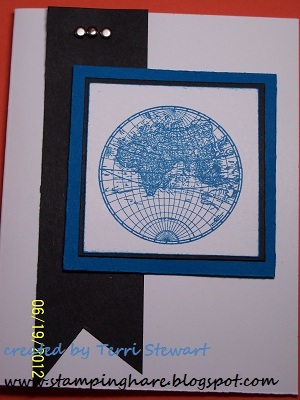 The resulting card is clean and simple, perfect for a young adult--- and just the card I was looking to give my son. I love it when a plan comes together! 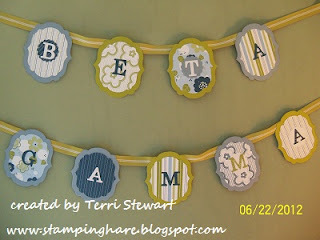 Shop my online Stampin Up store now! 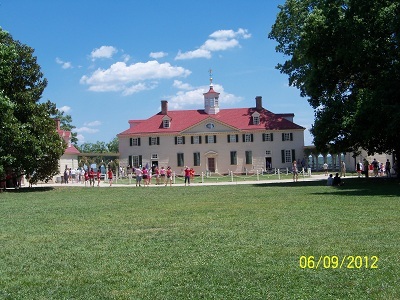 It was a lovely day here in central Maryland -- low humidity, delightful temperature in the low 70s, and clear blue skies. 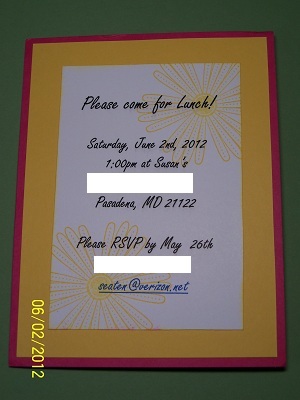 And to put a cherry on top of this fabulous day, I was invited to a Summer Lunch! 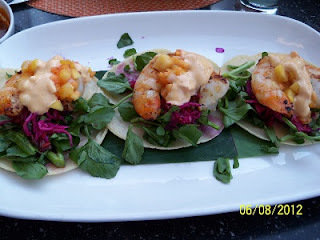 The lunch was hosted by my dear friend (and Stampin Up upline), Susan. Susan mailed us these lovely invites - you may recognize the Mixed Bumch stamp set, it's coordinating Blossom punch, and the labels collection frames...the colors are Daffodil Delight and Melon Mambo. Very summery! 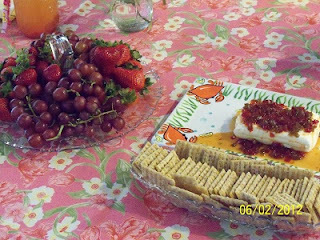 Tasty appetizers were awating our arrival...crackers with cream cheese drizzled with sweet pepper jam and a summer fruit plate. Yummy! Not shown were the freshly made mojitos - awesome. That's all I'm goin' to say about those drinks!! 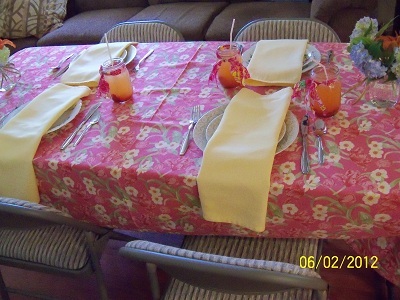 Susan out-did herself with the table settings--we ate off china, she decorated the table with hydreanges from her garden, and served strawberry lemonade in jars decorated with a twist of a bright summer fabric. So very pretty! 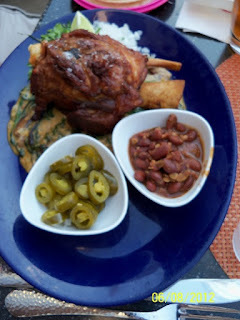 But then it got even better...the food was served. 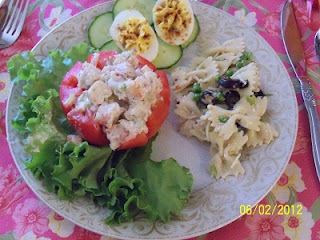 How does this sound for a summer lunch menu--deviled eggs, zesty Italian bow-tie pasta salad, ripe red tomato stuffed with shrimp salad, and buttered criossants. And more mojitos and strawberry lemonade!! 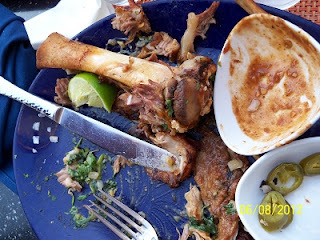 It was a party in my mouth! After lunch we had a grand old time hanging out and chatting. Before too long we enjoyed dessert--a yellow cake with a vanilla pudding and pineapple layer, frosted with cool whip and dusted with sweetened coconut. The perfect refreshing end to a truly delightful summer lunch. Sorry I don't have a photo of the cake, but I was having too much fun socializing to take more photos. 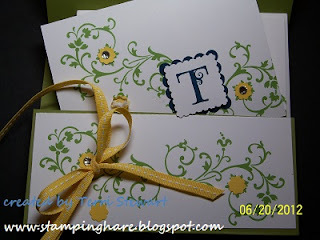 One last note--I am a Stamping Up demonstrator and make every effort to gift those around me with things I create with Stampin Up products. For my hostess friend Susan, I made six 3x3" note cards in summer colors and a small swinging handle box to store them in. 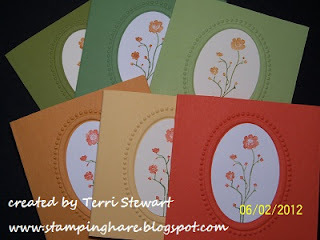 The stamp set is the retired Silouette Sentiments; the colors are Tangerine Tango, More Mustard, So Saffron, Certainly Celery, Wild Wasabi, and Old Olive. 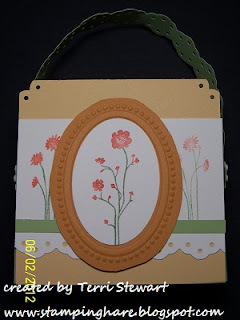 I used the oval frame from the Frames embossing folder set; the inside of the frame coordiates with SU extra large oval punch. The box project came together rather quickly--I followed Regina Andari's 3x3" note box tutorial which I found on Splitcoaststampers.com. I also made each of Susan's guests a "matchbook" containing 3x3" post-it notes. Hope every one of you had a lovely Saturday as well! 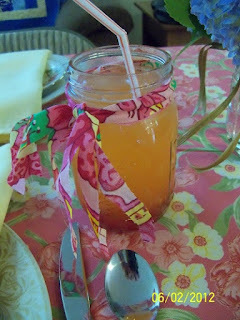 I'd be happy to help you design favors or hostess gifts for your upcoming gathering. My email and phone contact info is below. Join my team! 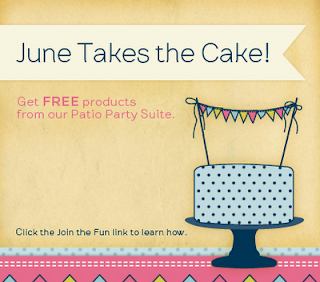 Limited time offer--join Stampin Up for $99 and select $125 in products, PLUS get the new Make a Cake stamp set, Patio Party DSP, and coordinating digital content, for FREE---total kit valued near $200!